On Friday at 1:30pm a neighbor driving by saw heavy thick smoke coming from a mobile home. The neighbor tried helping and began yelling but there was no response from inside. 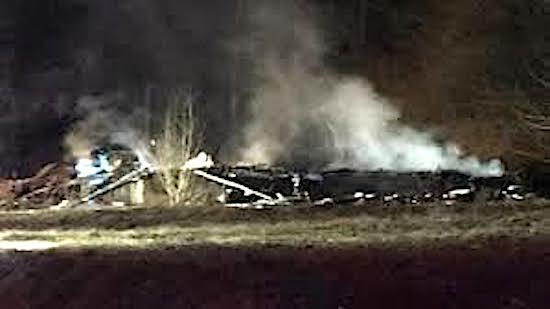 By the time Volunteer Fire Department Crews from Fort Gay and Crum were on the scene the home was engulfed in flames. Once the fire was extinguished the body was discovered inside the mobile home. The investigation is being handled by the West Virginia State Fire Marshall’s office and at this time have not released the identity of the victim and are working on determining the cause of the fire.